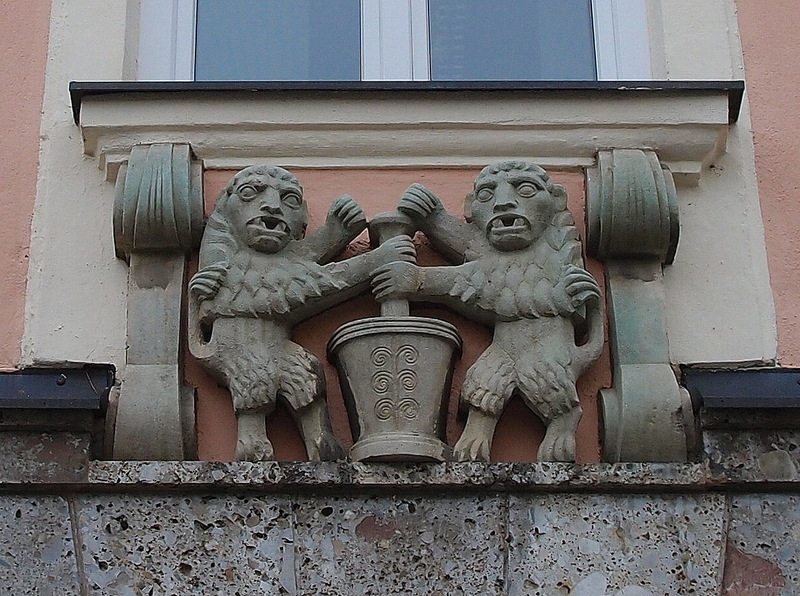 The sign with two lions was made by Italian migrant workers and renewed in 1957 by Alfred Kala. In 1973, the town pharmacy moved to the neighboring Meller house with the address Hauptplatz No. 9. 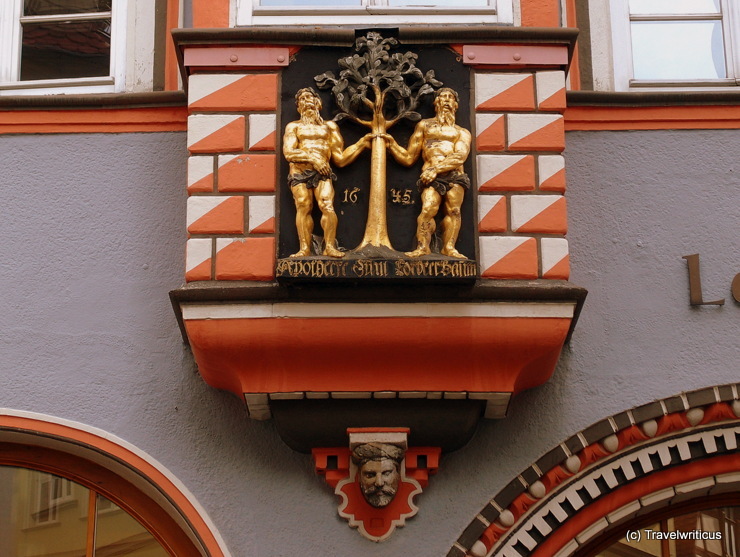 This relief displaying a laurel tree and two men is fixed on a 16th-century building with the address Herrenstraße 2 in Naumburg (Saale). The edifice accommodates a pharmacy named Lorbeerbaum Apotheke (Laurel Tree Pharmacy). 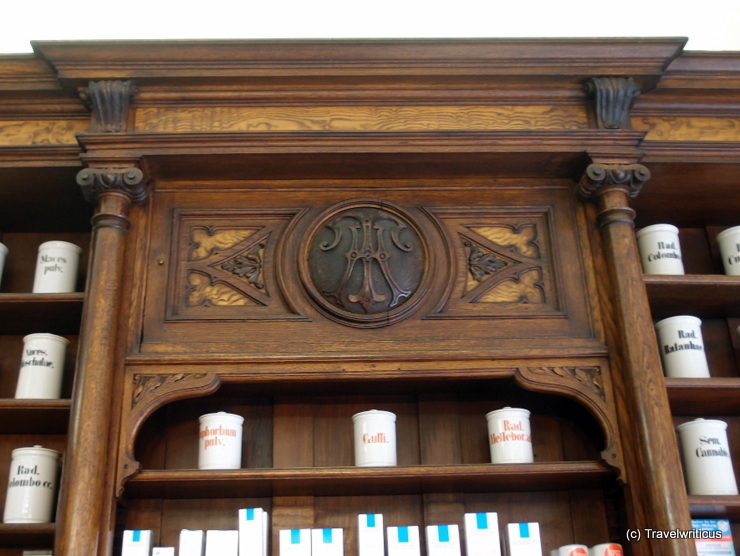 The former court pharmacy of Passau, generally known as Hofapotheke zum Schwarzen Adler was first mentioned in 1384 and is considered as the oldest pharmacy of Bavaria. 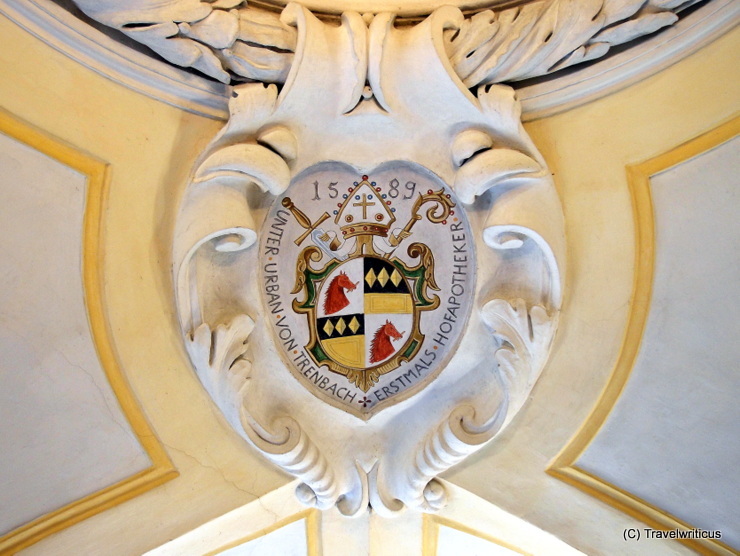 The impressive emblem in the ceiling reminds of its former funtion as court pharmacy.